VERBENA Parlor + Social House is a non-toxic, fume free nail bar, salon, and cafe that was founded by Ashley Murphree Tran. This space was created as a response to the lack of upscale social houses who focus on non-toxic nail and beauty services in Dallas, Texas. Verbena is a one-of-a-kind concept and our goal is to design an inviting fun environment where clients could relax and enjoy expert services in a comfortable and social setting. We are dedicated to providing quality, non-toxic, organic services using 5-free, 7-free, and 10-free nail products, as well as stainless steel implements in all of our services. We take great measure in making sure all other products we use in services are non-toxic as well. Our #1 priority at Verbena is sanitation, sterilization, and cleanliness. We are fully equipped with medical-grade sanitation equipment and follow hospital sanitation protocols. Verbena’s manicure tables and pedicure stations are designed to remove fumes and dust through an extensive filtration and extractor system installed into the tables and platform, so you can rest assure each inhale is clean and safe. Not only are we concerned for the health of our clients (many of whom are pregnant or accompanied by their children), but also with the health of our technicians. Sanitation is our first priority. All of our stainless steel tools are sterilized following proper sanitation protocols and the use of medical-grade equipment. We first have tools go through a ultrasonic cleaning machine that thoroughly clean the tools of all debris. Next, tools are bagged into individual sterilization pouches to prevent contamination and are placed into our autoclave sterilization machine. The autoclave will then use elevated steam pressure and high temperatures to destroy all bacteria, viruses, and fungi that could lead to infections. 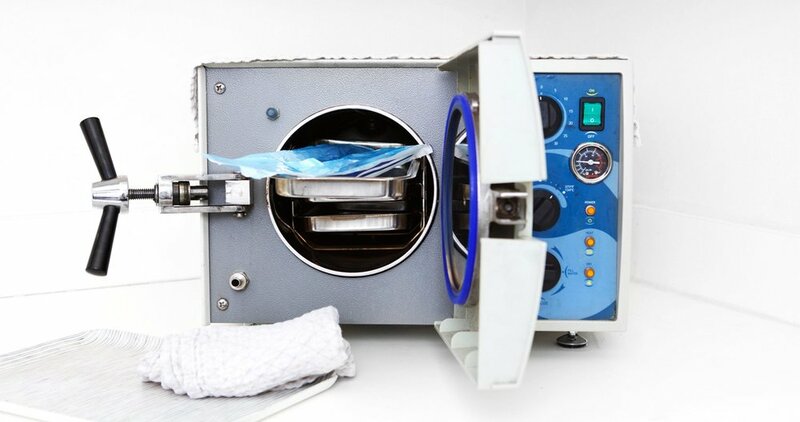 Unfortunately, many nail salons are unwilling to invest in an expensive autoclave machine, but instead purchasing sterilization pouches and bagging their tools that have not been properly sanitized and sterilized. During your service, our licensed nail technicians will use one pouch of sterilized tools for your manicure and another for your pedicure - preventing any possible cross-contamination from fingernails to toenails. You may have been to many salons where they use traditional whirlpool baths, but the jets and pipes connected to them are great breeding grounds for bacteria to grow. At Verbena, our pedicures are done in freestanding basins which are disinfected with hospital grade disinfectant between each use. We all love a fresh new manicure or pedicure, but we don’t really think about what exactly is going onto our nails. Many brands contain toxins that affect your health and the environment in ways that you may not realize are toxic for you. At Verbena, we only use 5-free, 7-free, and 10-free nail products in our services. Formaldehyde: Used in nail polish as a hardener and preservative, it is a known carcinogen, skin, and respiratory allergen and toxin. Formaldehyde exposure has been linked to Leukemia specifically. It also is an environmental toxin and causes toxicity in the organ system. Formaldehyde Resin: Used in polish to help form tough, shiny, and durable films on nails, and to maintain a high gloss of nail enamel throughout the wear period. Main concerns involve skin irritation, toxin and allergen, organ system toxicity, environmental toxin and potential release of off-gas formaldehyde. Although formaldehyde resin hasn’t been linked to cancer like regular formaldehyde, it’s a skin allergen known to cause dermatitis. Dibutyl Phthalate (DBP): In nail polishes, it helps increase flexibility and shine, but is toxic to reproductive and developmental growth. Also is a hormone disruptor, organ system toxin, and an environmental toxin. Toluene: Made from petroleum or coal tar, it is used in nail polishes to give the polish a smooth finish. But chronic exposure is linked to liver or kidney damage, organ system toxicity, anemia, lowered blood cell count, may affect a developing fetus, and an environmental toxin. Camphor: Acts as a cover on nails, which deprives the nail of nutrients, causing a yellow staining on nails. It is highly toxic when ingested, can cause nausea, vomiting, dizziness, hallucinations, seizures, and headaches when inhaled - which is a major concern for nail technicians. Ingestion of camphor can lead to significant toxicity, including death. 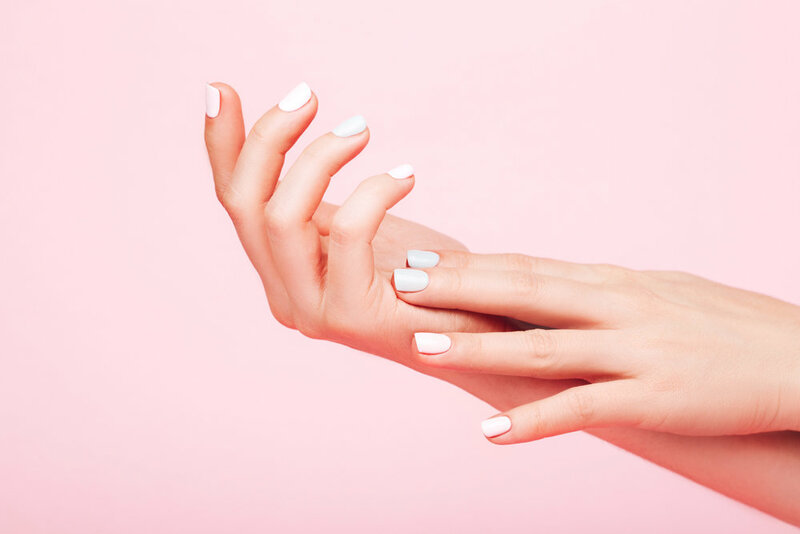 Triphenyl Phosphate (TPHP): Found in nail polishes to make it more durable, studies have suggested that this could affect hormones - specifically on potentially affecting reproductive health and lipid metabolism. Parabens: Parabens are a group of chemicals used as preservatives in food, pharmaceuticals and personal care products. The biggest concern with parabens is they are known hormone (endocrine) disruptors. Concerns also include skin toxin/allergen, potential developmental/reproductive toxin and environmental toxin. Xylene: Used as a solvent that keeps polishes from getting gooey, it is a known carcinogen and allergen that is also a Nervous system toxin, organ system toxin, development and reproductive toxin, irritant, occupational hazard. Ethyl Tosylamide: In nail polishes it works as a plasticizer, film former, and synthetic preservative. It is banned in Europe as it is considered a sulphonamide (a subcategory of antibiotics), and the use of sulfonamides in cosmetics in Europe is forbidden. Though it is not considered to be unsafe for humans, its public health effects on a population level can be problematic. Lead: Although lead and other metals are not directly added to the nail polish, it comes from the pigments that are used to create the color. Lead and other heavy metals can cause learning difficulties, developmental delays, fatigue, headaches, memory loss, mood disorders, and miscarriages or premature births.